Lake of the Ozarks, Mo. – Dress for the weather and get set to watch majestic eagles by land or Lake during the 12th annual Lake of the Ozarks Eagle Days, 9 a.m. – 4 p.m., Saturday, Jan. 9 and 10 am. – 3 p.m., Sunday, Jan. 10. The event will be sponsored by the Lake of the Ozarks Convention & Visitors Bureau, Lake Area Chamber of Commerce and Osage National Golf Club. Land locations will include Willmore Lodge, off Business Highway 54, just northeast of Bagnell Dam, where high-power scopes on the outer deck will be available for watching eagles in a natural lakeside habitat. Kids will enjoy making eagle-themed crafts projects provided by Art Xpressions, a non-profit art center for Lake-area residents and visitors. Wild eagle viewing also will be available at Bagnell Dam Access on the Osage River and at the Bagnell Dam Bait Shop, both located just below the dam. 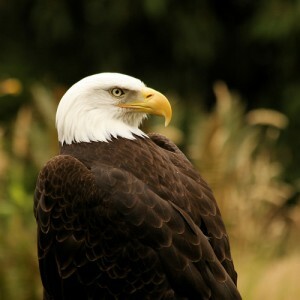 In addition, the acclaimed World Bird Sanctuary will present eagle programs every hour at Osage National Golf Resort on Osage Hills Road off Highway 54. Visitors will have the opportunity to see wild eagles in their natural Osage River habitat, as well as up close in the Pavilion Room along with other birds of prey. Eagle experts from the sanctuary will be on hand to answer questions. If the weather cooperates, the paddle wheeler Tom Sawyer will offer 30-minute Eagle Watch Cruises at $5 per person, at 11 a.m., 12 noon, 1 p.m. and 2 p.m. on Saturday, and 11 a.m., 12 noon and 1 p.m. on Sunday. Visitors are urged to bring binoculars, cameras and wear warm coats, hats and gloves. Tickets may be purchased at the Bagnell Dam dock prior to departure. Eagle Days has become one of the highlights of winter at the Lake of the Ozarks. The first live eagle program held in 1999 attracted 651 participants. Last year, more than 3,700 people attended, making it one of the most successful Eagle Days ever. “We invite everyone to attend this fascinating event and watch the magnificent eagles as they fish at the dam and soar through the air,” says Trisha Creach, executive director of the Lake Area Chamber of Commerce. She adds, sponsorship and volunteer opportunities are still available. For more information about Lake of the Ozarks Eagle Days, please visit www.lakeoftheozarkseagledays.com , and to find out more about Lake-area lodging, dining, shopping, attractions, please call the Lake of the Ozarks Convention & Visitors Bureau at (800) FUN-LAKE, or visit www.funlake.com.